The more I rely on computers to mix and master my music, the more I’m drawn back to pens, pencils, thick bonded paper, Moleskine notebooks, graphite pencils and watercolour blocks. As Marilyn Monroe said; ‘To think in ink..’. There’s nothing like taking a line for a walk and feeling the resistance of the paper and the give of the pen to swerve you off into a more interesting place than you would have gone in the world of Qwerty. I was cleaning my desk and I pulled out a copy of a piece I’d transcribed for a friend’s 40th. He’s a Geordie, so it’s an arrangement of ‘Oh Come ye from Newcastle’. He always wears strong glasses and a a cap, and as I was writing, my pen started to veer off into a picture of him..
super cool! really like the picture score. so creative. I’m a singer/songwritier, and Im with you about retreating to the good old tools of the trade instead of the digital buttons! the world dictates that we play ball with technology unfortunately. i actually just started a video blog discussing the evolution of arts culture/creative process (from my perspective as a musician). Thanks for sharing. i look forward to seeing more of your picture scores! 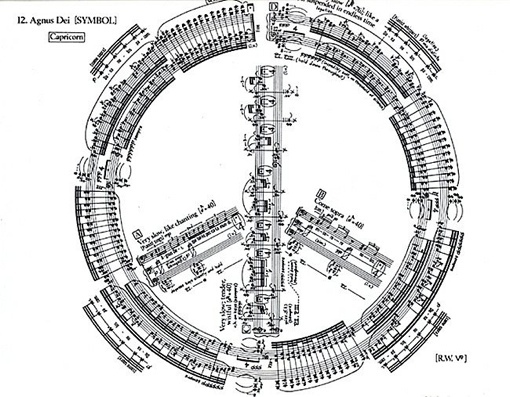 George Crumb at his best! Thanks to Elspeth Hanson for sending this! 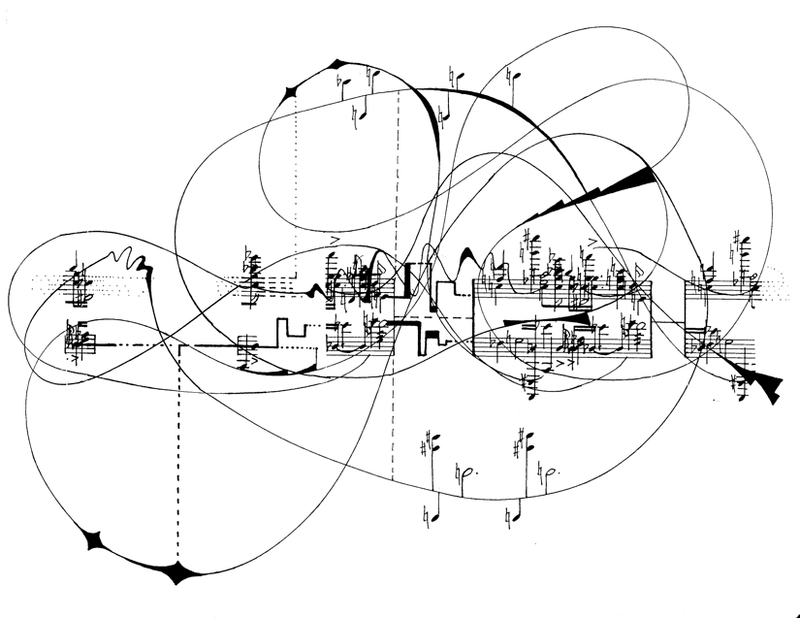 Eisenstein nails it with this storyboard – music by Prokofiev!